This question is quite frequently asked by many patients during a consultation exam. Theanswer varies depe", "articleBody": "
This question is quite frequently asked by many patients during a consultation exam. Theanswer varies depending on the individual’s BMI (body mass index) and medical history but the general answer is that weight problems can be a contributing factor to foot pain. Feet are responsible for bearing our body weight. The more weight they must bear, the more stress is placed on our soft tissues and joints. This can lead to inflammation and arthritis which then leads to constant pain. Weight gain can also affect posture and this too can contribute to abnormal stresses on the back, hips, knees, and feet. Unfortunately, this is a vicious cycle: the more pain our feet are in, the less likely we are to exercise to lose the weight. Wear shoes with appropriate cushion and width. Shock absorption is key to reducing plantar pressures on our feet. An athletic shoe will be a more comfortable fit than a flip flop sandal or a flat type shoe (dress shoe). Also, minimize walking barefoot. Consider an orthotic prescription device: these devices can stabilize any abnormal pressures placed on our feet and can help support and pad ligaments, tendons, and joints. Physical Therapy/Stretching Exercises: a regimented therapy program can help maintain flexibility and strength in the inflamed or painful area. Maintain a proper diet and exercise regimen: portion control and a diet low in fat/sugar can help facilitate weight loss. A registered nutritionist/dietitian and athletic trainer can be a valuable asset in helping a patient focus on weight loss in a healthy, controlled manner. The goal is to avoid crash dieting and any exercise routine than can lead to injury. Talk with your doctors: weight loss is a team approach! Your physician will be able to address pertinent medical history, such as diabetes, with medication and a podiatric physician will be able to address foot pain! The goal is to all work together to ensure that each individual patient maintains a healthy, happy, and pain-free lifestyle! 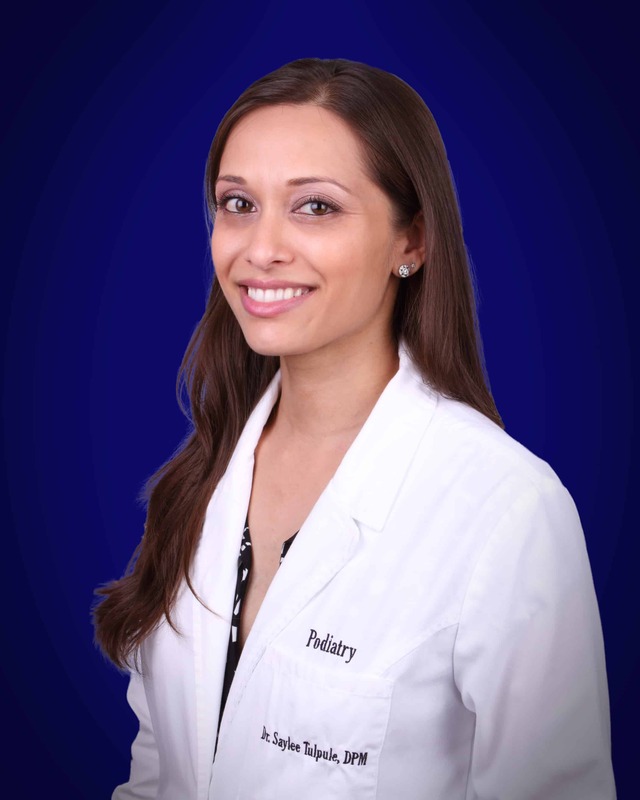 Dr. Tulpule practices in the Silver Spring/Fenton (301) 587-5666 and DC-Eye Street (202) 331-9727 locations. Doctor Tulpule and Foot and Ankle Specialists of the Mid-Atlantic, LLC expressly disclaims all warranties of any kind, whether express or implied, related to any products offered for sale on this web site. Doctor Tulpule and Foot and Ankle Specialists of the Mid-Atlantic, LLC further expressly disclaims any product warranties of effectiveness or fitness for any particular purpose or use. You are solely responsible for your use of, or reliance on, any products offered for sale herein, and any consequences arising out of such use or reliance. In no event will Doctor Tulpule and Foot and Ankle Specialists of the Mid-Atlantic, LLC be liable for any damages resulting from use of or reliance on any such products, whether based on warranty, contract, tort or any other legal theory.